The Beeman have been removing swarms, producing honey and supplying swarms for more than 20 years. 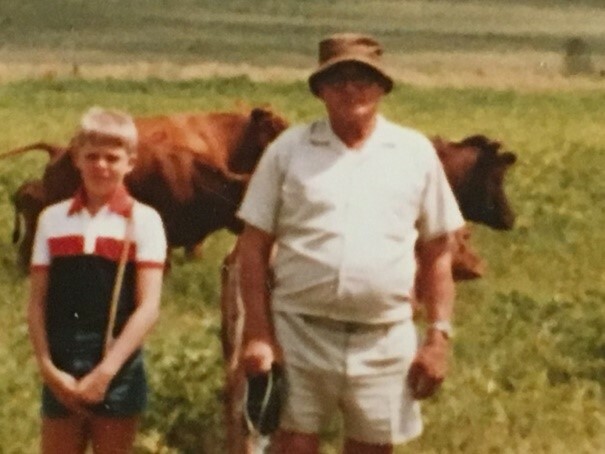 My story started at age six…. My grandfather saw the amazement I had with insects, I use to lay on the ground looking at the ants working and running. Studying the grasshopper’s strong back legs, the way they shoot up away from danger, watching bees drinking nectar from the flowers and brushing the pollen onto their back legs then flying off in a hurry. Oupa Lieb, was generous man with a kind soul. He had a few beehives which he made himself. One night Oupa took Ouma and me to harvest honey with him. 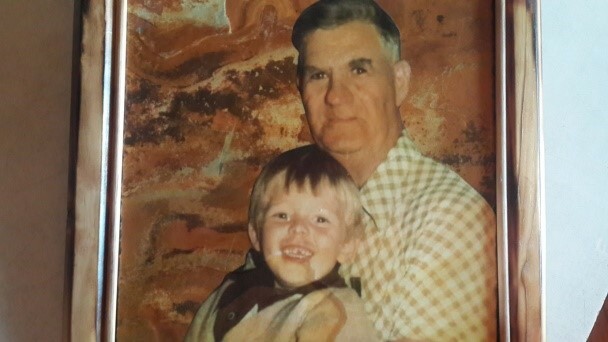 They dressed me up in oupa’s hat, tucked my trousers into my boots and used Oupa’s socks to pull over my hands … it was so long that it reached up to my shoulders. I was allowed to stand a few meters from the hive, watching in awe how he lit his pipe and gently blew the smoke into the hive’s entrance. The bees moved away from the glistering honey combs, Oupa then removed the comb with precision with a long knife, that night we ate honey at candle light. It was unforgettable and my most cherished memory of them, also the first spark that ignited the Beeman’s career! At age of 16 I tried to remove my first wild swarm, the hive was attached to a tree branch overhanging a stream. 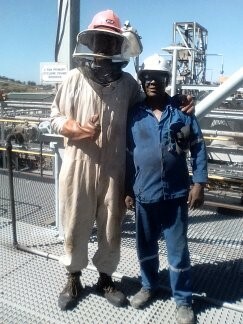 I used my cricket hat and mom’s pantyhose acting as a veil, I bought a smoke bomb from the Rand Show to use for calming the bees and of course I had a bucket for the honey. Looking at the open combs, I suddenly had a bright idea! I filled the bucket with water and with strength from deep down I flung the water right at the bees, washing them off the combs so I can harvest that golden honey. I am sure you can guess what happened next? Suddenly the tables turned… with the same force they turned on me covering my ‘veil’, the buzzing noise gone, replaced with a high pitched noise and a distinct smell of poison releasing from their stings! 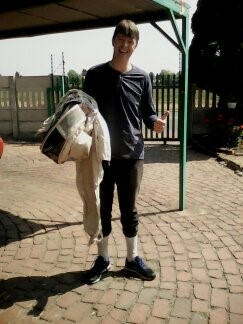 I turned and ran like only a bee swarm can make you run! Every time the ‘veil’ touched my face a sting pricked my face, with every step, my clothes hugged tight against my body and guess what - I got stung over and over again.